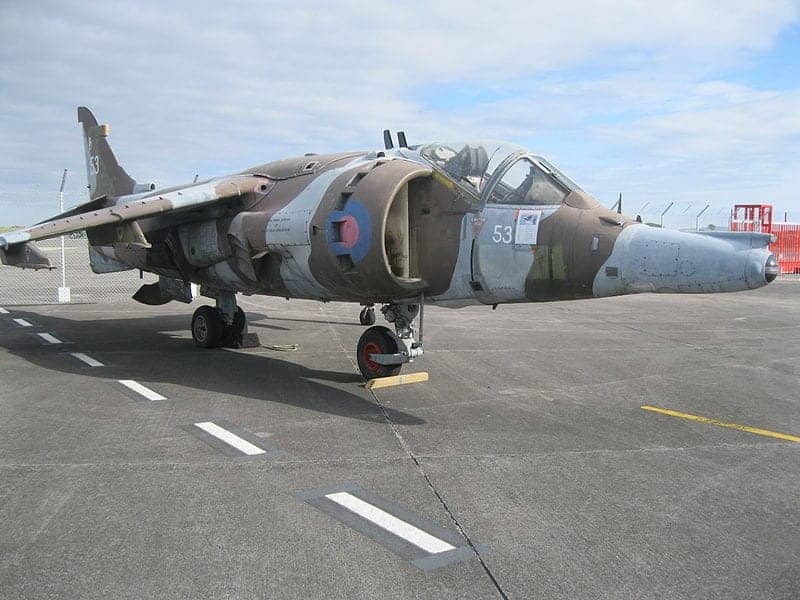 The Harrier, developed in the 1960s by Hawker Siddeley, was the first generation of the Harrier Jump Jet series of jet fighter aircraft capable of vertical short take off and landing. Initially used for improvised bases such as car parks, it was later adapted for aircraft carriers. A second generation of Harriers were used by several NATO countries. The last came off the production line in 2003.